Today Hyun Jae news have. news say " Hyun Jae father health is not good"
[JES 김인구] 군 복무중인 조현재가 위독한 아버지 문병을 못 해 발을 구르고 있다. 신종플루로 인한 외출, 외박 금지령 때문이다. 조현재는 고엽제 후유증으로 오랜 기간 투병한 아버지를 뒤로 하고 지난해 8월 입대했다. 그동안 휴가나 외출·외박을 나왔을 때도 아버지를 돌보는데 전념했다. 외아들인데다 어머니마저 몇 년 전 갑상선암으로 수술을 받은 터라 아버지에겐 그의 손길이 절실했다. 그러나 이달 초 신종플루 경보 단계가 '심각'으로 격상되면서 조현재가 복무 중인 경기도 의정부 부대를 포함해 전 군에 장병들의 외출·외박·면회가 전면 금지됐다. 휴가도 제한됐다. 다음달 2차 정기휴가를 앞두고 있던 조현재도 마음이 다급해졌다. 특히 소속사를 통해 "최근 아버지의 병세가 악화됐다"는 말을 전해들은 터라 애를 태우고 있다. 소속사 스타앤히트에 따르면, 조현재의 부친은 얼마 전부터 가족들도 못 알아볼 정도로 병세가 안 좋아졌다. 한 매니저는 "아버님이 병상에서 '현재 언제 오냐'는 말씀만 하셨다"고 했다. 소속사 이상훈 대표는 "현재씨가 지난번 외출 때도 아버지 병문안만 하고 돌아갔다. 곁에서 지켜보기 안쓰러웠다"면서 "하루 빨리 신종플루가 누그러지길 바랄 뿐 지금으로선 뾰족한 방법이 없는 것 같다"며 아쉬워 했다. [JES gimingu] Jo Hyun Jae being served in the military do not have to visit her dying father is rolling feet. Out due to the outbreak, said the ban stayed out all night. 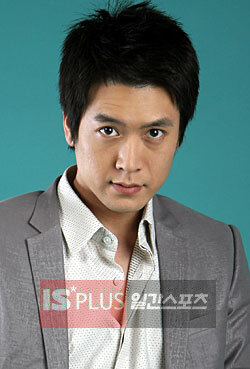 Agent Orange as a long-term complications Jo Hyun Jae tubyeonghan behind him, and enlisted in August last year. Been on vacation, came out, stayed out all night when his father was dedicated dolboneunde. A few years ago and his mother thought he was an only child with thyroid cancer who underwent surgery atmospheres father that his hand was desperate. However, earlier this month deepened the alarm stage 'serious' as the service is being upgraded doemyeonseo Jo Hyun Jae Uijeongbu, Gyeonggi, including troops out of former military personnel, had stayed out all night, visiting a total ban. Holiday was also limited. 2nd month before the scheduled holiday Jo Hyun Jae the mind has become desperate. Particularly through sosoksa "Recently my father's health was deteriorating," Tell him that the atmospheres are carrying him. According to the Star and hit sosoksa, Jo Hyun Jae 's father just before the family did not recognize the illness as not improved much. One manager, "my father from his hospital bed, when coming here now, let me know that spoke," he said. Representative Lee Sang-hoon sosoksa "You, Mr. byeongmunanman last time out, and when he returned. Repackage the wear side was Russia," said "the day that melted quickly deepened not want to lose seems to be no way to tack right now," he was disappointed. Hope all is well with his father's illness.